Why should we investigate Alien Abductions? and we are simply investigating someone's fairy tale. Others believe all abduction reports are real, and should simply be taken as truth. experience is counterproductive. All reports need to be investigated to determine if the experience was potentially real or not. Even a valid case needs further investigation. report of an abduction experience. Investigating an abduction is like looking at a crime scene, every detail is needed and valuable. A detail that appears completely insignificant and irrelevant to the abductee may provide a valuable clue in seeing the overall picture to the investigative team. So, what happens when an abductee makes a report and then goes through this process? 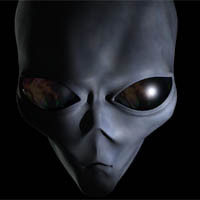 What can an abductee expect? Initially, there will probably be a request for a written report. The initial investigator will then ask specific questions about the incident. The investigator will be looking for certain details that fall into the category of "abduction criteria." You may be asked to check your body for scars or other unusual marks with a black light. After this process, there may be one or more follow-up sessions with an investigator so the incident can be gone over again. Sometimes hypnotic regression may be suggested. its investigators are competent, empathetic to abduction issues, and conduct themselves in a professional manner. important to ICAR and to the world as a whole. Please, if you have had an experience, contact us as soon as possible. Often, reports are received within minutes or hours of the initial event. vital to the overall picture, and we desperately need to define UFO and alien phenomena in a realistic manner. An investigation can be terminated at anytime by either the abductee or the investigator. Explain your abduction in as much detail as you can. Please try and recall every detail. What does not seem significant to you may be significant to I.C.A.R. Did your experience include contact with an extraterrestrial entity? Month, date, and year of event? Were other witnesses present? If so how many? Location of event please be as specific as possible. Your age at the time of the event? Are you willing to fill out additional questionnaires and/or talk to an investigator about this experience? Did your experience include seeing or entering any type of craft, vehicle, or ship? Do you feel/hear a buzzing noise when you turn on or are around any electronic equipment (i.e., television, computer, telephone, etc)? Does electronic equipment mess up around you? Any personal information submitted with this form is kept in the highest confidence. All I.C.A.R. investigators are required to sign a “non-disclosure” agreement form. These forms are on file with the International Director for I.C.A.R. This means, no personal information (name, address, phone, or email) that is contained in the submitted form will be shared without the submitter’s express written consent. If you are contacted back by an I.C.A.R. investigator, we urge you to consider filling out a more in-depth questionnaire. Only through this type of deeper investigation can we find the subtle commonalities and differences in abduction and contact experiences that may yield further answers to many of the questions about this phenomenon.